Many who would simply explain European policies on Africa as “neo-colonialism” are generally dismissed as paranoid or overly skeptical by those who want to portray themselves as “rational, refined and objective” thinkers. But given the European adventures in dealing with the many crises in Africa, even those who claim rationality are tempted to join the group that sees any European move as an advancement of neo-colonialism. This is quite evident among many Eritreans. European policy towards Eritrea suffers from tunnel vision, and mainly focuses on refugee issues at destination. It could also be described as a selfish and a reckless policy. But not to be grouped with the paranoid, we would just stick to European policies of the last decade during which European governments chose to close their eyes and continued appeasing the Eritrean tyrant and his hostile single ruling party. Europe has directly and indirectly empowered the Eritrean regime and in the process has inflicted severe damages to the cause of those who struggle to bring an end to the appalling human rights conditions in their country. Governments have the right to pursue policies that are commensurate to their self interest; but looking at the crisis solely through selfish prism is not in line with the modern general European public values. In pursuing their selfish national interest, European governments have been trampling over the struggle of the beleaguered Eritrean people. This has worsened since Italy’s Silvio Berlusconi began to lead the rapprochement gamble with the Eritrean regime over eight years ago; this year, we saw Italy’s Deputy Minister of Foreign Affairs, Lapo Pistelli still traveling on the same dead-end road of rapprochement. Several other European governments have been advised to pursue the same bankrupt policy by the misguided political NGOs, the sub-contractors of European foreign policy on Eritrea. We understand that Europe has a social and political problem caused by the influx of huge numbers of refugees and asylum seekers flooding its shores from unstable countries. Naturally, Europe wants to limit its intake of immigrants to safeguard its national security interests. But in solving those problems that need to be solved by addressing the root causes, Europe has been avoiding the cause and looking at the root and trying to give life to a poisoned tree by providing drops of water. How else can one explain the frantic movement to reform the corrupt Eritrean regime by continuously volunteering to provide it with a lifebuoy? 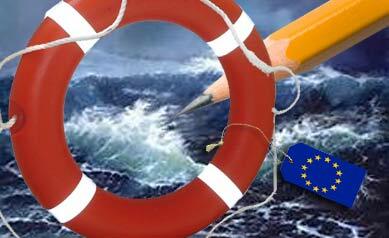 European governments, particularly Italian diplomats, are working hard to convince the regime to use their lifeboat. 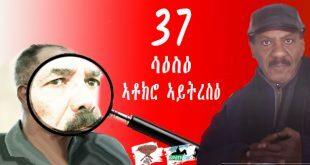 We have bad experience with the flirting of Louis Michel with Isaias Afwerki and his destructive attempts to salvage the sinking Eritrean regime and contributed in helping it stay alive this long. As if the diplomatic flirting was not enough, some EU countries unleashed their well-funded foreign policy sub-contractors to wreak havoc among the Eritrean resistance forces. European NGOs are involved in king making projects in case the regime fails. Recently the Danish immigration department depended on foreign entities and only one named person outside Eritrea in preparing its xenophobic and now disgraced report. Recently a British Foreign and Home Offices delegation travelled to Asmara to talk with the Eritrean regime about migration and human trafficking! Some other countries might do the same. And the feel-good exercises will continue. Any Eritrean who reaches Europe has done so because of the many push factors for which the Eritrean regime is responsible. Given the record of the Eritrean regime, the rule should be that anyone who comes to Europe from Eritrea is a victim of the regime. The exception is that some may as well be operatives of the regime who are purposely sent intelligence operatives to infiltrate the resistance forces. Obviously in that case they are not victims of the regime. These are individuals who immediately start to pay the 2% tax to the Eritrean regime and travel safely back to Eritrea as soon as they secure a travel document from the host country. European governments can learn from Norway on how to deal with the above segment: asylum rights of individuals who fake their applications should be revoked. We have come to learn that in some countries immigrations departments hire partisan individuals who support the Eritrean regime as translators in cases of asylum. They should be immediately disqualified because of conflict of interest. European governments should engage all resistance forces and not be selective, thus widen the gap between diverse Eritrean forces, and by extension, Eritrean segments. In the meantime, Eritreans will remain apprehensive of the West that never thought of punishing the Eritrean regime for what it does to its people; it is always punished when it ventures outside its national boundaries and engage in activities that mainly annoy Western countries. Recognizing that the Eritrean regime is the cause of all instability in Eritrea would save Europe and others the trouble of carrying out further research and fact finding missions. A regime that is condemned by all major international entities, including Amnesty International and Human Rights Watch, an oppressive regime that is rejected by its people and is only surviving with the power of the gun doesn’t deserve to be saved. Instead, it should be encouraged to drown in its own messy pond. A regime that has been pushing its youth to desperate measures doesn’t need to be saved, it needs to be removed. Only then will the influx of refugees and asylum seekers from Eritrea be stopped. Politicians should know that Eritrean is a diverse country and its resistance forces reflect that diversity. It is obvious that the regime’s view is on one extreme and the resistance is on the other. In the middle, there are individuals with vested interest, middle sleepers, opportunists, merchants of crisis, NGOs that masquerade as promoters of this or that lofty ideal, and mediocre intellectuals who are not sure where they should stand and with whom they should ally themselves. 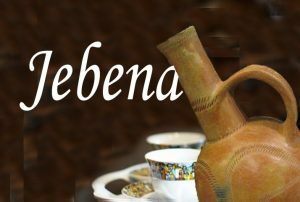 Anyone who dismisses the views of any of the two extremes is simply unqualified for any task of reforming the regime or helping resolve the problems that led to the Eritrean predicament. 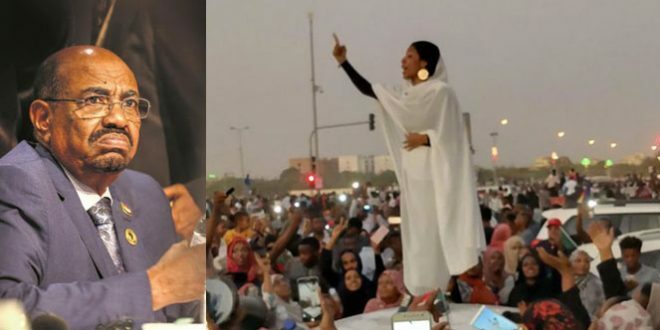 While the European governments have no problem trying to save the oppressive Eritrean regime, they tend to dismiss the organized parties in the resistance forces. Instead, they depend on freelancers who have proved, time and again, they have no clue about the real problems. The typical wishy-washy opportunists are the only endorsed reference of the European governments because they are nominated by the sub-contracted NGOs who act as partisan rivals among Eritreans. Unfortunately, the very people they are courting espouse hyper nationalistic jingoism as a means of restoring lost glories with hostile attitudes towards neighboring countries, attitudes that are no different than those of the current regime. 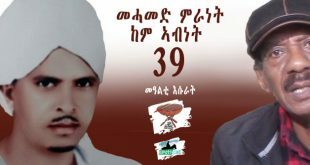 They exhibit animosity towards other Eritrean resistance forces, have little tolerance for competing views, lack democratic credentials to meet the aspiration of Eritreans suffering under the yoke of tyranny, and have failed to reform themselves. In short, they are ill-suited to promote peace and stability in the region. However, some NGOs who have been acting as kingmakers and stealth manipulators, wreaking havoc among the resistance forces, would not change course, and as a result, they have lost credibility as objective interlocutors despite the noble slogans they repeat. Europe could help itself and Eritreans by recognizing that the Eritrean regime is too corrupt to be salvaged. Trying to reform it is futile. Europe could also help itself and Eritreans by recognizing that the Eritrean resistance forces, (not selective groups) should not be left in the cold because the long term risk of excluding and marginalizing them may prove to be disastrous in the future. Europe needs to recognize that Eritrea lies in a very volatile region and in this age where lethal groups emerge out of nowhere to destroy nations, it is prudent to realize that Eritrea is not immune to that kind of damaging growth. 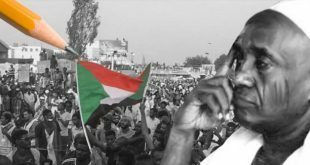 Strategic planners and entities interested in the well-being of Eritreans should deal with their predicament prudently–resistance forces should not be pushed to the corner and fall prey to unwanted influences. Finally, we hope European governments recognize the gravity of the situation; cajoling the Eritrean regime while at the same time dismissing the resistance forces and substituting their representation to small groups and individuals will only yield serious consequences. 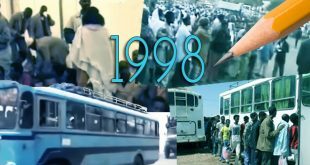 To rescue Eritrea and Eritreans, it is a must that the idea of salvaging the Eritrean regime is completely rejected before embarking on the right path towards solving the Eritrean problem related to governance, to safeguarding their human rights, and ending their oppression. Importantly, for Europe, it is the first step towards stopping the supply line that is flooding Europe with refugees and asylum seekers from Eritrea. I really wanted to read the whole article but something you stated stopped me from doing it. There are NO social and political problems caused by those refugees, NONE. The problem is that STATES don’t want to integrate these refugees, because integration = money. And where do you get the money ? TAXATION. And who is to be taxed ? RICH CAPITAL-OWNERS. And why don’t states want to tax rich capital-owners ? Because modern governments are the bourgeoisie’s defenders (K.Marx). And finally, how stupid can you be to believe that European governments (Western capitalists in general) determine their foreign policy based on human rights and democracy issues ? Come on !!! I could continue like this for hours. How can one be taken serious if he/she believes that Western countries actually give a damn about human rights and democracy in 2014. Please open some history books !!!! Forget the West, stop begging, let’s ACT !!!! I absolutely concur with your view. Indeed, Isayas has no one on his side. The people are against him. The army and the militias too are on their guard against him. He too persuaded to believe that even his wife wants him to oversleep in order not to wake up and smell coffee (face the reality). To get along with his closest friends and family members as well as to control his excessive suspicious out look of life and reduce his hostilities against the world, he has been on Zoloft (medication) for some time now to treat his narcissistic personality disorder. He is also on a strict requirement to avoid or limit his use of alcohol when being treated with Zoloft. However, he lacks adherence. Therefore, the mix of the two (Zoloft and alcohol) is causing in him impairment in thinking and judgment. That is why many of his closest friends are victim of punches in the nose because he is not mentally alert when he mixes up those two. Therefore, if the lack of the people’s support weakens him by 50% and the lack of support from the army removes the remaining 50%, it is assumed that is left with zero support. Add to that he is let to oversleep. Then, why are those conscious people taking so long? Are they waiting until his threats become a reality: turning Eritrea into Somalia. Although the idea of denying the PFDJ regime a lifeline is the right one, I am not sure if the expectations made on the Eu, as you implied hitherto, are cognizant of EU’s limitations vis-a-vis the Eritrean crisis. EU as well as the rest of the Western governments agree that the tyranny in Eritrea must end. However, how do they go about that? I.e short of military invasion? If they don’t attempt this approach, then they are assuming that the problem would continue. If the do go ahead with this approach, we are predicting it won’t work (which is a valid prediction in my view). Hence, the suggestion above seems to prefer that the EU works with the “Resistance”. And who would be the representative face of the “Resistance”? Since there also appear to be the “Amen corner” in this side too (the selected individuals who portray what the NGO wish to do), can there be an amalgamation of UFEAC (United Front of Eritrean Amen Corners) 🙂 ? Could it be that the EU is left to pick up the pieces and no one to deal with for change? For example, there are hundreds of thousands of Eritreans in Ethiopia who haven’t approached Ethiopia to assist with overthrowing the Eritrean regime, but the Ethiopian regime is getting the flak for not facilitating a question they didn’t ask! 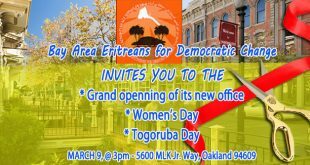 Close to a million Eritreans in the Western diaspora are only represented by few PFDJ or Opposition and aren’t organized in one powerful entity to absorb potential assistance. The question is not about the validity of the article’s theme of condemning proposed help to PFDJ, but the lack of clear alternative who can instead absorb the help and can be trusted to realistically attain the goal of stemming the refugee crisis. In other words, until such time that Eritreans rise up to demand change in their country, we may be viewed as a time bomb ticking to go off a full blown Somalia right in their face. What should they do? We are dying off their shores in our thousands, we are setting up tents in refugee camps of neighboring countries in hundreds of thousands, we are pressing them from Israel in tens of thousands, and we lack one clear organized face to get our point of view across. The EU may have a stark choice of either doing something now or face having to deal with millions of people on the move once the repressive system gets fatally destabilized. The solution proposed in the article doesn’t identify clearly who the resistance forces are and what their logistics and proximity is to the epicenter of the crisis. 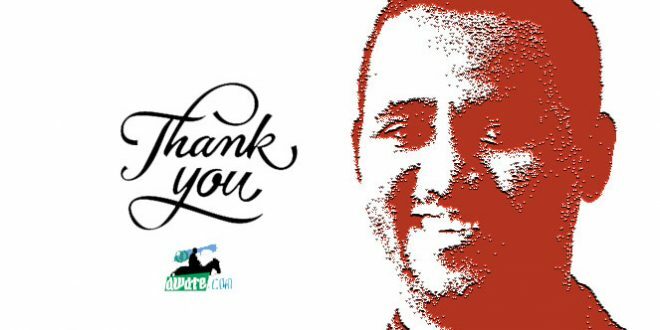 As we saw during the Lampedusa injected shock, close to two dozen Eritrean intellectuals got together and lobed a letter-full of challenge to IA and his ministers. But, even if they were never seen or heard from before Lampedusa, neither did they re-appear after it (although more Eritreans sank to death at the Mediterranean sea after their letter). In my guesstimate, there are probably many thousands of Eritrean intellectuals who curse the regime on the daily basis but not stepping forward to lead the struggle for change (there probably close to 100 or so doing it though). So, the question is who is the EU to work with as a credible partner? I admire your honest anaylysis though it is very soft and tangngential. In such serious issues,you have to be able to be “Principled,Firm and to the POINT”. BTW,if you cut the “Life line” what will happen to these success stories? “Access to clean drinking water has improved dramatically. In 1990, according to the World Health Organization (WHO), only 43% of Eritreans had access to safe drinking water; by 2013 that number had risen to 85%, compared to 48% in Ethiopia. The government has supported a variety of methods to provide safe drinking water, including harvesting rainwater through roof collection and solar-powered pumps to extract ground water reserves. Adult literacy in Eritrea is 80%. Education is provided free to all students, including university and college, and the government spends 45% of its budget on education”. Extremely impressive achievements. Congrats ! But why compare it with ethiopia ? Hope nefse, it looks like your 2% is working according to the plan. You seem to forget the best achievement by your country yet. If things continue at this rate , eritrea , in the near future, will achieve something never heard of in recent history of mankind. A young country with ZERO people. No need to worry about clean water or health care. “If things continue at this rate , eritrea , in the near future, will achieve something never heard of in recent history of mankind”. Talk to me in 2-3 yrs from now about this issue. The SIGNS of theTIME are right in front of your eyes. I just posted what the WHO and UNICEF said. BTW,those,who are drawning in the Sea and being burnt up in the Desert were looking for Wine,Cold Beer,Cold Icecream,Vodka,Whisky,Cognac-44,etc—ready-made Steka,Pasta…. But you have to earn it as life is NOT a walk away…. Indeed child mortality is reduced when there are hardly any children being born. The would be parents are fleeing Eritrea in droves. And I suppose the thousands of Eritreans drowning in the Mediterranean sea or being tortured by barbarians in the Sinai were on their way to vacation in Europe and Israel. You never cease to amaze! Comparing apples to oranges they say, in your case comparing elephants with ants? How do you compare 98% of 3-4 million and 48% of 95 million? Could that be few wells vs thousands or few E’las vs huge DAMS. If you think Eritrea is doing well what can one say but ponder if you are PFDJ groupie ? are you? 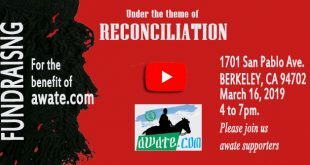 Do you think you may be parroting what the PFDJ says? THOES CRIMINALS GROUP HGDF THEY ARE NOT GOING TO GIVE UPP EAISLY BECAUSE OF ALL THIS LEXUEY AND MONEY THEY GOT BY MAKING ERITREAN PEOPLE FREE SLAVERY UNLESS WE HAVE TO TIGHT THE ROPE AS QOICK AS WE CAN WECANT AFORD ANY MORE BY LETTING THOSE CRIMNAL GROUP DISTROY OUR PEOPLE AND OUR COUNTRY THOS CRIMNALS THREY DO NOT HAVE ARMY OR PEOPLE BEHIND THEM SO LETS MOVE ON BEFORE IT IS TO LATE. It is a pity that some European countries are trying to salvage a regime that is rejected and despised by its own people, except for a few opportunists who would like like to fish in troubled waters. I beleive, however, it is not wise of the Awate web-site to try and divide the opposition groups as full-timers and freelancers. We’ve lots of troubles and disagreements to deal with, hence, it is not right to bring another dimension to this division. 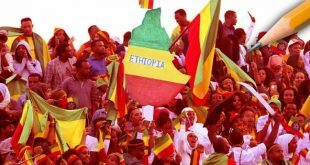 As we know it, there has been opposition to the Eritrean regime since many decades ago, long before the “negative involvement of European countries” , and to our dismay, appart from reproduction into endless groups, there is almost no any significant achievement of this opposition as yet. It is, therefore, wiser to concentrate on minimizing differences and building of trust among the opposition than looking for scapegoats. I don’t think Europe is concerned about democracy, human rights, good governess etc in Africa in general and eritre in particular. All they are worrying is how to stop the influx of refugees . If working with IA stops the influx , of course they work with him. Why should they care if he is a dictator. Specially Italy with a shaky economy right now, don’t want to absorb the added economic and social challenges that come with new immigrants every day. In my opinion they work with anyone including IA if that help them not only stopping the influx but also to deport those asylum seekers. The only thing you can learn from this is that Eritrea will outshine and prevail. That is why you are out-crying. Learn from the PFDJ and apply what SAAY suggested for Legitimacy. In the event, if your are against any kind of Eri-EU Economic Development Cooperation, you are only committing another serious mistake that you made before in Petitioning for Sanctioning Eritrea and the Poor Eritreans. 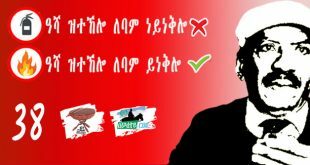 Your arrogant and desperate portioning to tell the EU to stop Warsay Yika”alo Development Program is but absurd outcry. This long ‘Hateta’ could have been written well from Ministry of Foreign Affairs in Addis Ababa. 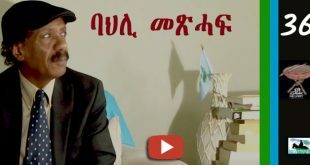 Nothing new but sings ‘Regime change songs’ by portraying Eritrean government as the devil. 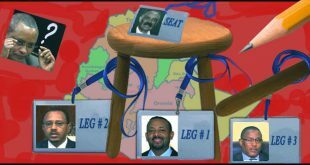 It is a desperate attempt to stop the shift of European governments reassessment the Eritrean situation objectively. Europe is now grapping the life line Eritrean Truth that had been floating lonely in the ocean of lies created by UN and its NGOs.. Europe migration policy of declaring all Eritrean refugees as ‘Political refugees and not as military deserters of an independent country in Africa has backfired and opened the flood gate of African continental migrant youth to escape poverty in their individual countries by claiming ‘Eritreans’. “Only the truth make you free”. 23 years and all you can show is extreme poverty that drives record breaking number of refugees all over the world. “Regime change”? That’s the least the tyrants deserve. I’m suggesting ICC indictment for the root cause of crimes against humanity. The Beatles foreground figures, John Lennon and Paul McCartney used to sign all their songs Lennon-McCartney no matter which one of them wrote it, but you can always tell who wrote which song. It is the same thing with the Awate team, this one is written by the the great writer Saleh “Gadi” Johar. I wonder who the Ringo Starr and George Harrison of the team is? A disclosure of the Awate team would be nice. BTW, leave EPDP alone, they are the only sane people in the Eritrean opposition. Cannot agree more ,Tafla ,and welcome back.